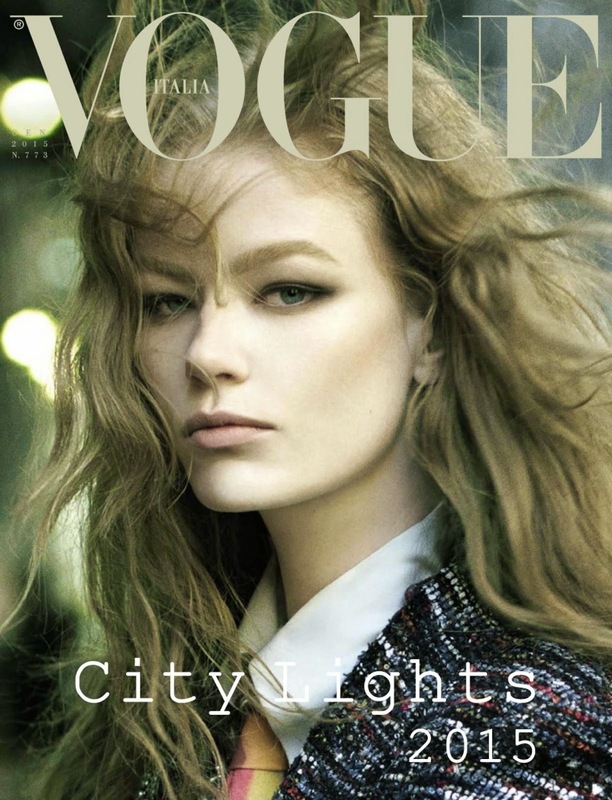 Self-proclaimed British "scouse" Hollie-May Saker kicks off the new year in true blue chip style with a solo Vogue Italia cover lensed by Steven Meisel. The strawberry blonde Trump Model Management-repped beauty is Everything for the January 2015 cover and accompanying editorial entitled "New York Diaries". The editorial features the Liverpool born nineteen year old ingenue in a series of studio and on location shots captured while strolling the streets of Manhattan. With styling by Karl Templer and hair and make-up courtesy of Guido Palau and Pat McGrath, Saker is nothing short of immaculate as she imbues each image with a compelling mix of sophistication and free-spirited abandonment. Discovered at age 16 and signed by Models1 in London, Saker made her mark at the Spring/Summer 2014 collections with runway appearances at Marc Jacobs, Burberry Prorsum, Giles, Miu Miu, Fendi, and Chanel. Saker's insurgence has also been felt on the editorial front on the pages of British Vogue, Interview, Wonderland, CR Fashion Book, Document, L'Officiel Netherlands, and Elle Japan. Saker will no doubt continue to gain momentum throughout 2015 with the backing of Meisel who has shot her multiple times in recent months for the December 2014 issue of Vogue Italia and for Moschino's Spring/Summer 2015 campaign.